Smart appliances are a hot trend on the market today, and it seems like every home appliance brand is trying to get in on the action! 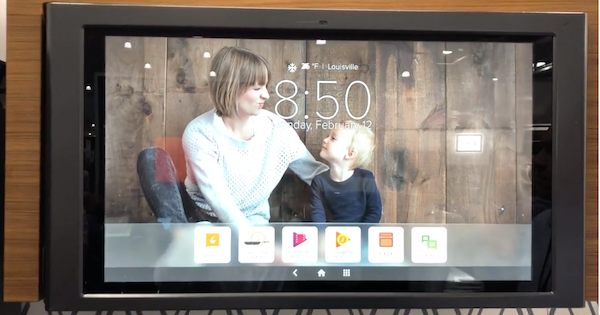 In this article, we'll go over the different connection options available from brands LG, Samsung, GE, and Whirlpool, including what apps and other tech they're compatible with, how they are used, and more. There are several hot new trends in the appliance industry right now. As far as appliance styling goes, by far the biggest trend is black stainless steel appliances. When it comes to functionality, the hottest buzzword is smart appliances. Smart appliances or connected appliances are being offered by several manufacturers and several other brands have them in the works for late 2017 and into 2018. Samsung, LG, GE and Whirlpool are among the brands that currently have products on the market or are in the process of rolling out products in the smart appliance category. In this article we'll focus on GE and review several GE smart appliances to see what they have to offer. There are several hot new trends in the appliance industry right now. As far as appliance styling goes, by far the biggest trend is black stainless steel appliances. And when it comes to functionality, the hottest buzzword is smart appliances. Smart appliances or connected appliances are being offered by several manufacturers and several more brands have them in the works for late 2017 and into 2018. Samsung, LG, GE and Whirlpool are among the brands that currently have products on the market or are in the process of rolling out products in the smart appliance category. There are several hot new trends underway in the appliance industry. As far as appliance styling goes, by far the biggest trend right now is black stainless steel appliances. And when it comes to functionality, the hottest buzzword is smart appliances. Smart appliances or connected appliances are being offered by several manufacturers, and several other brands have them in the works for late 2017 and into 2018. Samsung, LG, GE and Whirlpool are among the brands that currently have products on the market or are in the process of rolling out products in the smart appliance category. In this article, we take a look at what LG has to offer in the smart appliance space. There are several hot new trends going on in the appliance industry. As far as appliance styling goes, by far the biggest trend as of late is black stainless steel appliances. When it comes to functionality, the hottest buzzword is smart appliances. Smart appliances or connected appliances are being offered by several manufacturers and several other brands have them in the works for late 2017 and into 2018. Samsung, LG, GE and Whirlpool are among the brands that currently have products on the market or are in the process of rolling out products in the smart appliance category. In this article, we take a look at what Samsung has to offer in the smart appliance space. There are several hot new trends going on in the appliance industry. As far as appliance styling goes, by far the biggest trend as of late is black stainless steel appliances. When it comes to comes to functionality, the hottest buzzword is smart appliances. Smart appliances or connected appliances are being offered by several manufacturers and several other brands have them in the works for late 2017 and into 2018. 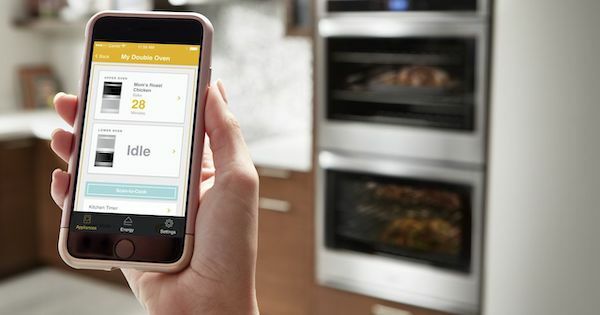 Samsung, LG, GE and Whirlpool are among the brands that currently have products on the market or are in the process of rolling out products in the smart appliance category.